Human society is full of would-be "change agents", a restless mix of campaigners, lobbyists, and officials, both individuals and organizations, set on transforming the world. They want to improve public services, reform laws and regulations, guarantee human rights, get a fairer deal for those on the sharp end, achieve greater recognition for any number of issues, or simply be treated with respect. Striking then, why so many universities lack programs for social activists, to which students can turn for advice and inspiration. Instead, scholarly discussions of change are fragmented with few conversations crossing disciplinary boundaries, rarely making it onto the radar of those actively seeking change. 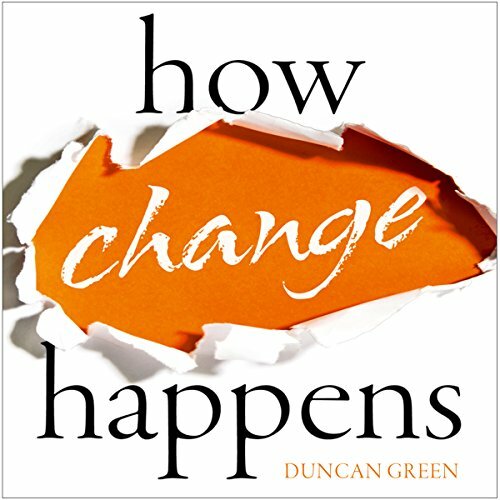 This audiobook bridges the gap between academia and practice, bringing together the best research from a range of academic disciplines and the evolving practical understanding of activists to explore the topic of social and political change. Drawing on many first-hand examples from the global experience of Oxfam, one of the world's largest social justice NGOs, as well as the author's insights from studying and working on international development, it tests ideas on how change happens and offers the latest thinking on what works to achieve progressive change. While I’m certain there’s valuable content here, it’s very dense. The narrator goes far too quickly in an impassioned tone. I’m not sure how he can go so quickly. The effect is sound and fury signifying nothing.